Our immigration DNA test starts from £389 and includes testing of the alleged father, child and mother. In cases where DNA test results are required to support a visa application, GTL are able to carry out a paternity or maternity test to prove the biological relationship in question. We are also able to perform DNA tests to prove other relationships, such as DNA testing between brothers and sisters (sibling tests) or testing between aunt or uncles to prove the relationship with a niece or nephew. Our Customer Service Advisors are available to guide you through the DNA testing process and to ensure the most suitable family members are tested to ensure accuracy and conclusive verification of the relationship. 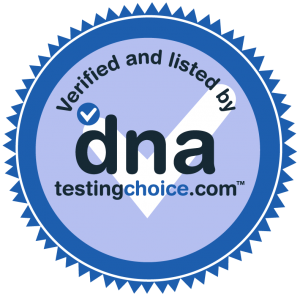 To qualify as an accredited legal DNA test, the DNA sample collection process must be witnessed by a health professional or neutral third party with no interest in the outcome of the test. The identity of the applicants submitting DNA samples must also be verified by photographic proof of identity and 2 passport-sized photographs of each applicant must accompany the samples. In cases where one or more applicants to be tested reside in other countries, we will make arrangements with the relevant British High Commission, Embassy or approved sample collection facility in that country for samples to be collected. DNA testing of the alleged father, child and mother (mother is optional). Our Premium Quality Paternity Test using 21 genetic markers. 99.9% accuracy for inclusions (positive results) and 100% accuracy for exclusions (negative results). Confidential notarised DNA test results emailed in 5 working days. Free Special Delivery postage of the sampling kit to your chosen health professional in the UK and Federal Express delivery to the sampler in other countries. Please note: For immigration DNA testing, GTL arrange appointments for DNA sample collection with authorised clinics, British High Commissions and Embassy locations worldwide. The UK Border Agency may require special information regarding your case. Sampling fees and international courier charges may also be applicable.